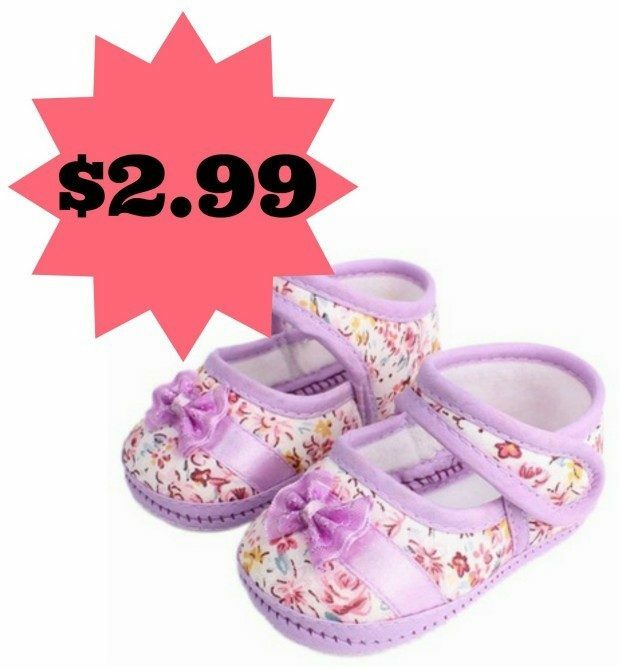 Soft-Soled Baby Shoes Only $2.99 + FREE Shipping! You are here: Home / Great Deals / Amazon Deals / Soft-Soled Baby Shoes Only $2.99 + FREE Shipping! OK, Mommas, I have a fabulous deal for you on baby shoes! Get these ADORABLE Soft-Soled Baby Shoes for just $2.99 with FREE shipping! How stinking cute are these?! These are available in 0-6 month, 6-9 month and 9-12 month.